Ashley’s Ruination wins its tenth title! 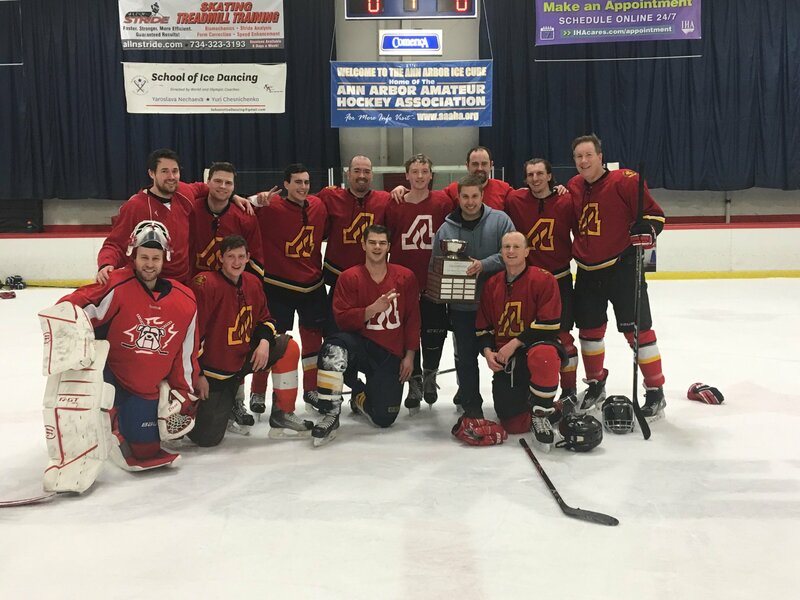 ANN ARBOR- Ashley’s Ruination secured its tenth championship Wednesday after beating the Depot Town Stags 5-1 and completing the 2-0 sweep. Scoring was spread evenly as forwards Tom Angers, Aaron Renberg, Nick Drabicki, Brian Lefevre, and Kyle Jennings each had a goal, while defensemen Eric Larson (2 assists), Jim Rooney, and Saul Jacobs added four of the seven assists. Ruination looks for its third straight title starting next Tuesday.